SUE Solutions, Inc. staff members provided UDOT Region Three with video pipe inspection services for this five mile roadway project spanning through American Fork, Pleasant Grove, Lindon, and Orem, Utah. As part of this project, UDOT is planning to replace and/or install new storm drain mainlines, laterals, and features, to improve current drainage conditions. 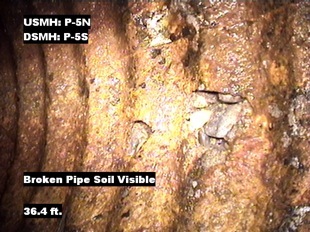 Using specialized video equipment and data software, the video inspection services provided UDOT with valuable data pertaining to the existing storm drain system such as sizing, material type, structural and operational defects, and construction features such as taps, access points, and line deviations. The data is being used to determine what sections of the existing storm drain system can be used as part of the new drainage design, as well as determining those areas where the pipe needs to be replaced, maintained, or cleaned to function properly. 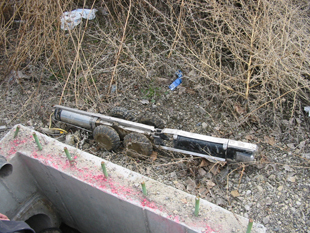 As part of the inspection service, SUE Solutions also located, surveyed, and mapped the existing drainage features providing an accurate X, Y, and Z location. Throughout this project, SUE Solutions successfully inspected over 6,500 feet of storm drain system. The final deliverable consisted of all catalogued video files, a written conditional summary and grading report for each pipe segment, and a tabular summary of structural, operational and construction features for each pipe. Received 4.8 project rating out of 5. UDOT project manager indicated their desire to use SUE Solutions on future projects.